Leeds Theatre and Arts Center is one of the great hubs of Leeds, Alabama. The Leeds Arts Council presents monthly featured artists with their works on display along with regular theatrical productions and events to highlight and celebrate the arts. The Leeds Arts Council was organized in 1985 as part of the Jefferson County Community Schools. In 1992, the LAC became a separate entity, gaining 501(c)(3) status in 1993. Theatrical products were the initial focus of this organization, but others types of events have been added to its programming including fine arts demonstrations, classes, shows, monthly gallery exhibits, story-telling, vocal and instrumental concerts, poetry readings, holiday events and children's theatre workshops. Leeds Arts Council is actively involved in the community and works to foster a sense of creativity in the Leeds and surrounding communities. The Arts Council continues to move forward into the future with high expectations for continued growth of appreciation of the arts in our town and the surrounding area. 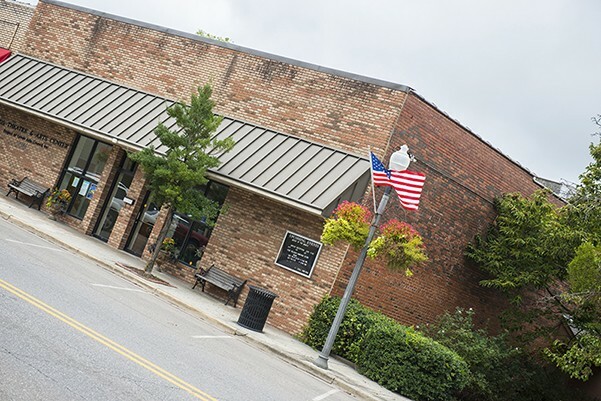 The Leeds Theatre and Arts Center is located at 8140 Parkway Drive, Leeds, Alabama 35094 and may be reached at 205.699.1892. For more information about Leeds Arts Council and Leeds Theatre and Arts Center as well as view event schedules, please visit their website.